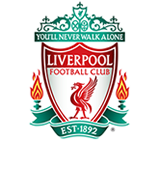 At Liverpool FC we are committed to offering people pathways into employment and providing them with the opportunity to develop and flourish to fulfil their career aspirations. Equally we recognise how great things can happen with diverse teams in place, including those who are just starting out in their career, and the fresh thinking and innovation they bring. We offer a variety of 12 month Student Placement opportunities across the Club which are designed to give you the chance to really get involved, take on responsibility and show the amazing things you’re capable of. You will be doing real work alongside real industry experts and influencers. All places give you a unique overview of how our businesses are structured and how they operate, not to mention a flavour of the exciting future career you could have with us. Throughout the scheme we aim to give you the opportunity to meet with people from across the business and to help you build a strong understanding of how our departments work together, giving you the immediate opportunity to build a professional network. These placements are perfect for driven, high achievers with a real interest in pursuing a career with a global brand in Football. In addition to on-the-job training, it includes a number of hugely beneficial training days, covering a range of soft skills including emotional intelligence and presentation skills. To be eligible to apply for a placement you will need to be in the second year of your degree, to undertake a placement in the penultimate year of university. If this sounds like the placement for you keep an eye on our jobs page for when the vacancies are live. We understand the value you will add to the Club as a Student Placement and will reward you accordingly. All placements are paid and meet the NMW requirements You will also have access to other benefits such as contributory pension, benefits portal offering high street and holiday discounts. You will have first access to match tickets, the opportunity to apply for unique employee experiences that would not be possible at many other employees such as playing on the pitch and the opportunity watch the teams train. We also run lots of initiatives to help keep our people healthy and well.